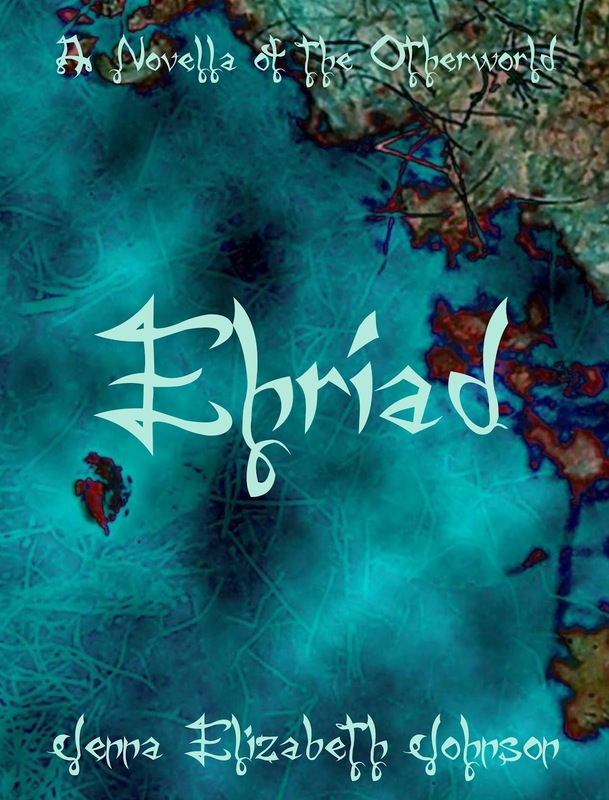 Jenna Elizabeth Johnson: Another Look at Ehriad! Well, I don't have a solid post for this week and I don't know what the future looks like for blog posts (at least until I'm done with Luathara), so I've been feeling a wee bit guilty. 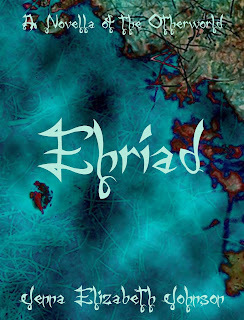 In order to make up for it, I thought it would be fun to post another snippet from Ehriad. This is the scene where Cade first sees Meghan outside of her high school. Hope you enjoy and now back to writing/editing! I reached the outskirts of the high school within fifteen minutes of leaving behind the swamp. As I caught my breath, I studied the students pulling into the parking lot and reluctantly spilling out of their cars. I wrinkled my nose at the barrage of smells and sounds that attacked my senses. Several dozen perfumes and colognes clouded the air, along with the high-pitched laughter and false promises being thrown from one person to the other. Combine that all together with the general angst and unavoidable desperation that permeated the atmosphere and it was enough to give one a headache. I was very glad I never had to attend high school. I would not have survived it. Fergus and I had been in this area only a week or so ago, checking into a possible faelah problem. I’d been wearing my old trench coat and had used my glamour to adopt the guise of an old homeless man. Most people left me alone when I took up that particular costume, so I wore the same cloak of glamour now: one of a decrepit, retired veteran down on his luck, lingering in the woods for no apparent reason. A few more minutes ticked by before I caught a glimpse of that brilliant blue magic again. It trickled out of an old gold minivan. I felt my muscles tense as the van pulled up and parked. The door rolled open and the girl, Meghan, stepped out with her friend. I took a small moment to wonder why I hadn’t detected her strange magic here last week, but then brushed that thought aside once she started moving across the parking lot. I focused my attention on the group of teenagers, especially on the girl I had discovered earlier that morning. They were a good distance away, so I sacrificed a fraction of my glamour, pulling it away from my disguise and using it to enhance my vision just enough to get a clear picture of my quarry. The girl turned and looked in my direction. My relaxed pose stiffened. Pretty little thing, but not in a typically human way. In fact, I wouldn’t be surprised if her peers thought her to be strange-looking. Humans were often a bad judge of real beauty, in my experience. I continued to study her, grateful my hood covered most of my face. She was tall with dark, curling brown hair and high cheek bones, but it was her striking eyes that gave me pause. Hazel, flashing to gray, then green and blue, and back to hazel. My heart sped up and I felt my own well of power begin to burn, like a coal coaxed to life by a bellows. Not just a human tainted by glamour. Oh no, this girl was Faelorehn. Suddenly I felt winded, as if someone had punched me in the stomach. There were plenty of Faelorehn and half-Faelorehn people living in the mortal world. Some chose to live here, some merely liked to visit. But there was something different about her; something I couldn’t place. Most Faelorehn wore their glamour like a mantle, hiding their true identity in the mortal world. But this girl . . . Hers was locked away and almost impossible to see, like something lurking beneath a sheet of dark water. Yet the magic that trickled off of her was as visible as the stars in a moonless night sky. The girl and her companions glanced away, and I took the opportunity to slip behind the trees. I would look into who this girl was, this Faelorehn with hidden glamour. And while I was at it, I’d try and forget those eyes and her alluring face, too. Thanks for reading and I hope you enjoyed this little exerpt!